James is a family law specialist with a level of experience beyond his year of call acquired as a consequence of being instructed in many complex and difficult cases, including those in Public Law, Private Law and Family Finance. Representing all parties in care proceedings, including the children acting through their guardians and prospective special guardians. James is regularly instructed in multiday final hearings and has a busy appellate practice. James frequently appears in proceedings involving vulnerable clients, cross-examination of expert witnesses and allegations of non-accidental injuries and sexual abuse. Applications for Child Arrangements Orders, Prohibited Steps Orders and Specific Issue Orders, including issues of residence, contact, schooling, removal of children from the jurisdiction and surrogacy. James also has a particular expertise in cases involving suspected parental alienation. All aspects of financial settlement proceedings including matters relating to transfers of tenancy, enforcement, applications for interim relief such as maintenance pending suit applications and trust disputes. James has recently been instructed in cases involving complex cross-jurisdictional property disputes involving third-party interveners. James also advises and represents clients in proceedings relating to the Trusts of Land and Appointment of Trustees Act 1996 (TOLATA), enforcement of child maintenance payments, declaration of parentage, and non-molestation and occupation orders. He is qualified to accept instructions directly from members of the public and professional clients under the Direct Public Access Scheme. In addition to his experience within the courts of this jurisdiction, when working for the Cambodian Centre for Human Rights in Phnom Penh James drafted legal submissions to the Supreme Court of Cambodia on behalf of a Nobel Peace Prize nominee and Member of the Cambodian Parliament. He also spent time providing legal assistance to inmates facing the death penalty in prisons across north-eastern Botswana and has worked alongside the Law Society of England and Wales in responding to international human rights abuses. 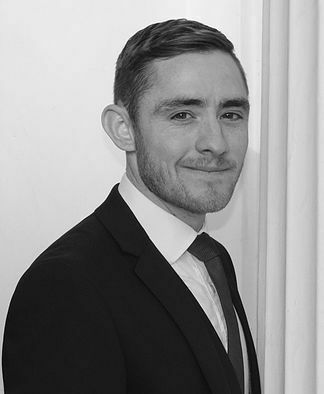 James was also previously engaged as a consultant with the highly reputable city firm, McCue & Partners, providing advice and practical assistance in an international dispute relating to government backed investment portfolios. James is dedicated to utilising his skills to benefit his community and has provided pro-bono family and civil law assistance at community centres. James speaks basic Afrikaans, Setswana, French and Spanish. Having been raised in southern Africa, James has a keen interest in all sports and represented Botswana at junior international cricket tournaments. James is an ardent long distance runner, having completed the Cologne and London Marathons. He is also a diehard Newcastle United fan. James Legg is qualified to accept instructions directly from members of the public and professional clients under the Direct Public Access scheme.